You want to use YAKINDU Statechart Tools, but you do not want to bloat your toolchain by yet another tool? Here’s how we can help. We integrate ourselves into your IDE! YAKINDU Statechart Tools is developed within Eclipse. Simplified, it’s a bunch of plugins, which can be installed into any Eclipse-based product. A lot of other integrated development environments (IDEs) are also based on Eclipse. So, usually it is possible to simply add YAKINDU Statechart Tools to your (Eclipse-based) IDE instead of using our full-blown product application. In this article, I will show you how to check if and how you can install YAKINDU Statechart Tools directly into your IDE. Software development kits for microcontrollers are typically delivered with an IDE that provides the complete toolchain needed for editing and compiling source code as well as for uploading the compiled binaries to the target platform. It would be a hassle if you had to develop your statechart in a separate tool and copy the generated source over to the IDE each time the statechart is modified. With YAKINDU Statechart Tools being part of your IDE, you can seamlessly edit statecharts and source code in the same tool, simulate statecharts, generate and compile source code, and upload binaries to the microcontroller. In order to integrate YAKINDU Statechart Tools, your integrated development environment must be based on Eclipse. This is a mandatory requirement. To show you the steps, I will use Code Composer Studio by Texas Instruments, where I’ve already installed YAKINDU Statechart Tools. Look for the “Help” drop-down menu. Click on “About <your IDE name>”. In the open dialog you can click on the Eclipse.org symbol and find your Eclipse platform version. You need at least version 4.5.x (Mars). 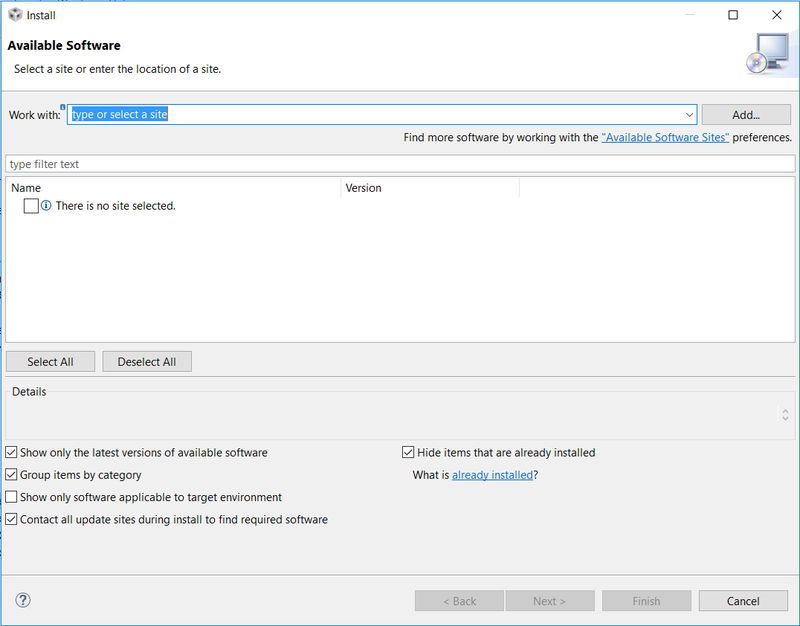 If your IDE is based on Eclipse 4.5.x or higher, the next thing you need to find out, is whether your IDE allows you to install new software. Some IDEs don’t support that. If you find a menu entry “Install New Software” in the “Help” menu, you’re ready. Now you can install YAKINDU Statechart Tools. 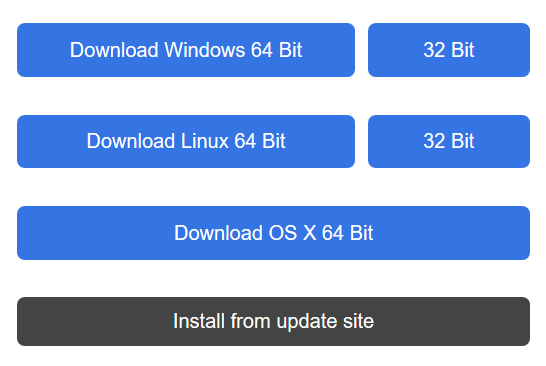 Make sure to click on the “Install from update site” option. You can choose between Standard and Professional Edition. Copy the link so that you have it at hand during the next step. Go back to your IDE and click on “Install New Software…” in the “Help” menu. Click on “Add…”. In the “Add Repository” dialog, enter “YAKINDU Statechart Tools” into the “Name” text field and paste the URL of the update site into the “Location” field. Click on “OK”. The IDE will contact the YAKINDU Statechart Tools update site and display the available software components. Depending on which licence you have, check either YAKINDU Statechart Tools Professional Edition or Standard Edition. Start the installation by clicking on “Next” and following the installation instructions. After the installation, a restart of the IDE is required. Now you have successfully installed YAKINDU Statechart Tools in your IDE. If you want to learn more about how to use YAKINDU Statechart Tools within your IDE check our blog post “How to program a MSP430 with state machines in 5 minutes”. YAKINDU Statechart Tools has got some dependencies on other update sites. 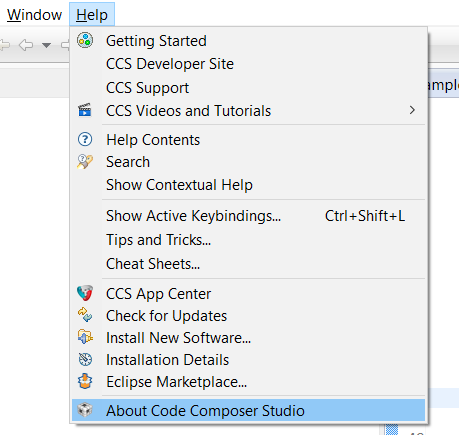 For example, Code Composer Studio additionally needs the Eclipse Neon update site. You can find all of them in the list of required dependencies. If you encounter any dependency problems during your installation, try to add the listed dependencies. I’ve successfully installed and tested YAKINDU Statechart Tools in TI’s Code Composer Studio v7.1.0, Atollic’s TRUEStudio for ARM v 7.1.2 and NXP’s LPCXpresso IDE v8.2.2. Now it’s your turn. Find out if you got an Eclipse-based IDE and try to install YAKINDU Statechart Tools. Please contact me if you got any problems during the installation.